The Council of Europe Convention on Extradition was made in Paris on December 13, 1957 and came into force in Italy on November 4, 1963. According to the Convention, the Contracting States are obliged to surrender to each other all persons against whom the competent authorities of the requesting Party are proceeding for an offence or who are wanted by the said authorities for the carrying out of a sentence or detention order. Extradition shall be granted in respect of offences punishable under the laws of the requesting Party and of the requested Party by deprivation of liberty or under a detention order for a maximum period of at least one year or by a more severe penalty. Each Contracting State may refuse extradition of its citizens. Each Contracting State whose law does not allow extradition for certain crimes, may exclude such offenses from the scope of the Convention. 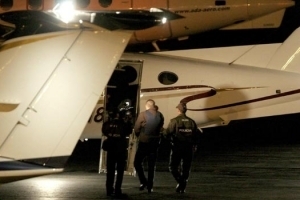 Extradition shall not be granted if the offence in respect of which it is requested is regarded by the requested Party as a political offence or as an offence connected with a political offence. The same rule shall apply if the requested Party has substantial grounds for believing that a request for extradition for an ordinary criminal offence has been made for the purpose of prosecuting or punishing a person on account of his race, religion, nationality or political opinion, or that that person's position may be prejudiced for any of these reasons. Extradition for offences under military law which are not offences under ordinary criminal law is excluded from the application of this Convention. If the offence for which extradition is requested is punishable by death under the law of the requesting Party, and if in respect of such offence the death-penalty is not provided for by the law of the requested Party or is not normally carried out, extradition may be refused unless the requesting Party gives such assurance as the requested Party considers sufficient that the death-penalty will not be carried out. Extradition shall not be granted if final judgment has been passed by the competent authorities of the requested Party upon the person claimed in respect of the offence or offences for which extradition is requested. Extradition may be refused if the competent authorities of the requested Party have decided either not to institute or to terminate proceedings in respect of the same offence or offences.